This direct-to-video sequel to a movie I frankly barely heard of and never seen, actually wasn’t bad. Despite a kind of lame subtitle, Ninja II: Shadow of a Tear isn’t a bad movie with well choreographed fight scenes and on the whole a nicely framed picture from director Isaac Florentine. The Blu-ray includes excellent audio/video transfers while the bonus material is mostly forgettable. 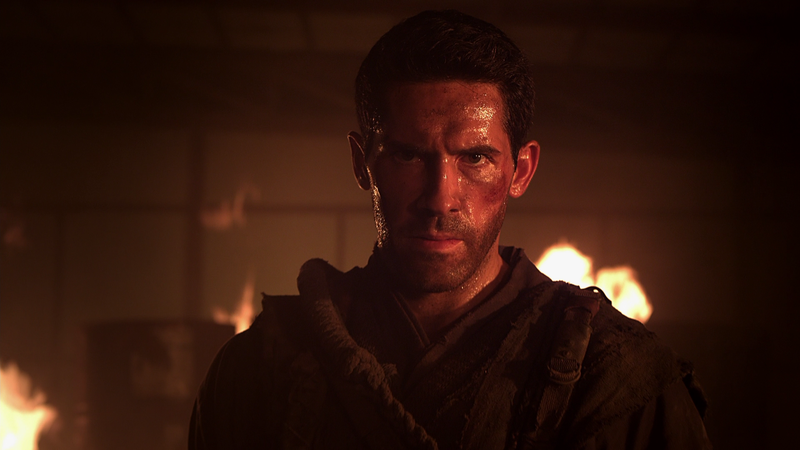 Plot Outline: Fight everyone and trust no one: it’s the code of survival practiced by martial arts master Casey Bowman (SCOTT ADKINS) after his life of domestic bliss is shattered by a savage act of violence. With the help of his friend Nakabara (KANE KOSUGI), the fearless American retrains his responses and elevates his battle skills to seek justice for his wife’s murder. Casey stealthily tracks the man responsible on his mission of vengeance, but just when he has his prey cornered, an unexpected twist forces him to see even those closest to him as enemies. 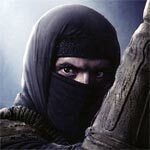 In the ultimate confrontation, Casey must reflect on his teachings to become an invisible warrior worthy of the title Ninja. Featurette (7:15) – So bland, they couldn’t even come up with a catchy feature title, this is a rather basic behind-the-scenes featurette with some on-set interviews chatting about this sequel and the storyline. Cast & Crew Interviews (12:36) has the filmmakers and cast talk about various topics such as the fight sequences, action, etc. Behind the Scenes (5:23) is a fly-on-the-wall featurette with just BTS footage and no interviews or on-camera chatter. 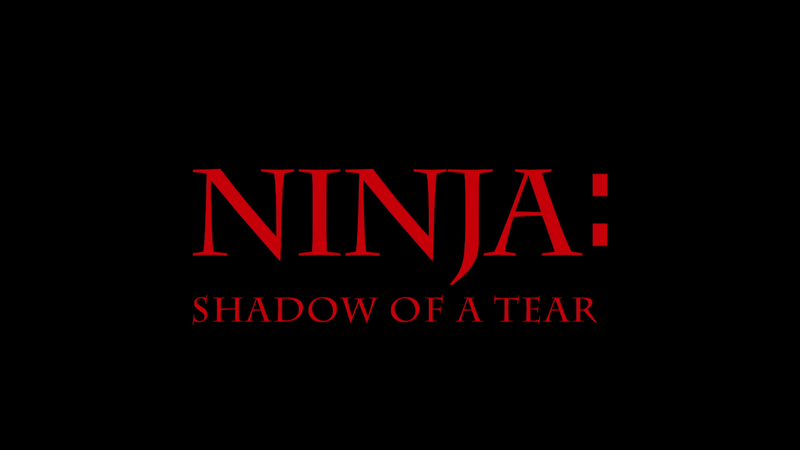 Ninja: Shadow of a Tear arrives on Blu-ray from Millennium Entertainment and surprisingly for what I assume was a limited budgeted direct-to-video flick, doesn’t look too bad. Detail levels are sharp and colors appear well balanced. The transfer also shows no signs of pixilation, banding or other anomalies. The Dolby TrueHD 5.1 track is quite robust showcasing everything from the packed streets of Tokyo, Burma, etc. to the action scenes which are expansive and finally the dialogue coming from the center channel which comes across as crisp and clear. I was pleasantly surprised to find this to be one of the better lossless tracks to experience in a while. Overall, this direct-to-video sequel to a movie I frankly barely heard of and never seen, actually wasn’t bad. 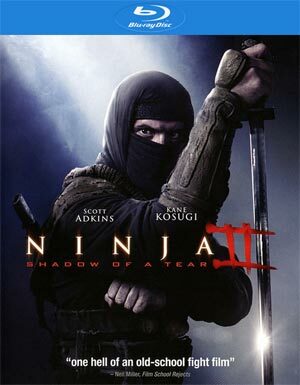 Despite a kind of lame subtitle, Ninja II: Shadow of a Tear isn’t a bad movie with well choreographed fight scenes and on the whole a nicely framed picture from director Isaac Florentine. The Blu-ray includes excellent audio/video transfers while the bonus material is mostly forgettable. No more Movie Ratings ? There are, but for some movies I have to do quick reviews as I’m behind getting some online. The next one with a rating will be Despicable Me 2.